I’ve always loved the outdoors. My parents took me to a handful of the National Parks, but with 59 parks in total we couldn’t see everything. 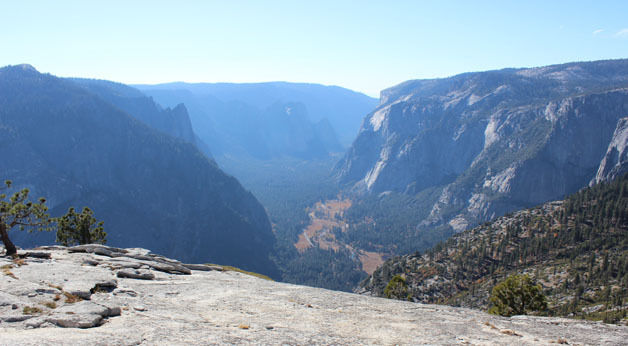 Yosemite, only a few hours from San Francisco, is easily accessible by car and ripe for a long weekend getaway. Erin and I visited Oct, 23 - 27 for 3 full days of wilderness fun. 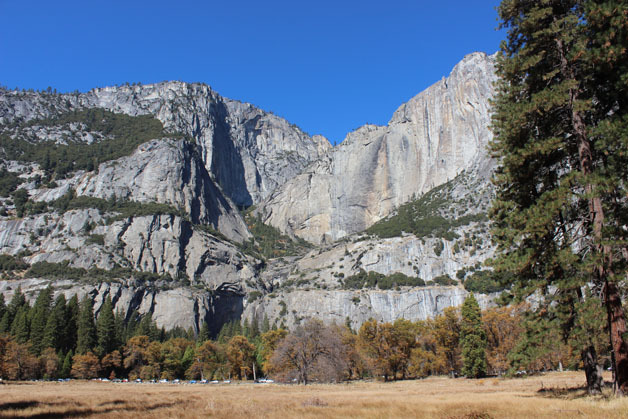 Late October is off-season for Yosemite, but we didn’t really know how much that would limit us - turns out, not at all. With nothing but good weather in the forecast, all options were on the table. The owners of the vacation rental we stayed at, Tom and Theresa, are avid climbers and gave us the scoop on how to make the best of our three days. 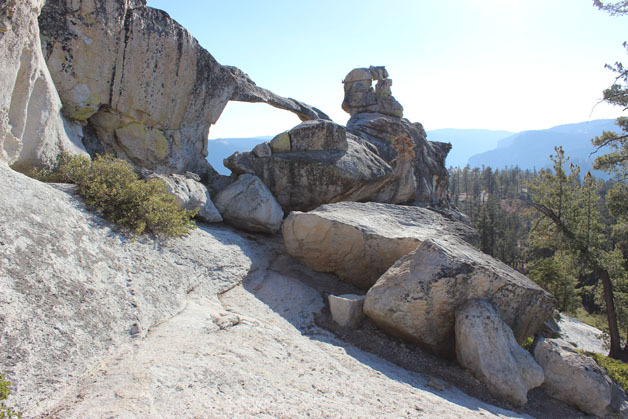 The hike up to Nevada Falls and the hike from Tioga Road to North Dome are both on the more strenuous side, so we did those first and last. Mariposa Grove and Glacier Point are separated by about an hour car ride, so that made for an easier middle day. We knew we would have a few hours the morning before we drove back to San Fran, so we used that time to talk a leisurely walk in the valley meadows. 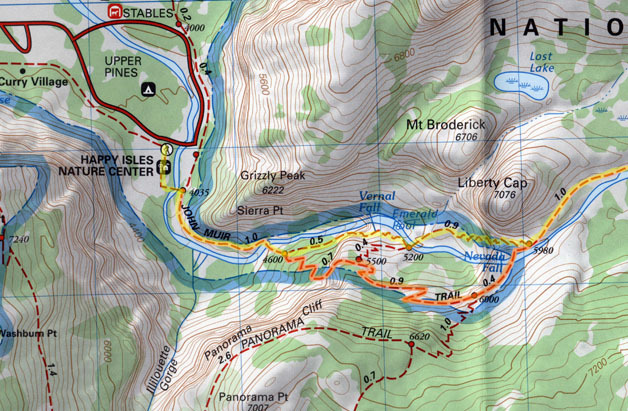 Instead of going deep into our experience of each hike (and all the pictures), I’ll instead provide a quick synopsis and map. Hopefully I can find the time to put more pictures online. It would have been wise to start out easier than we did, so the altitude and incline reminded us. 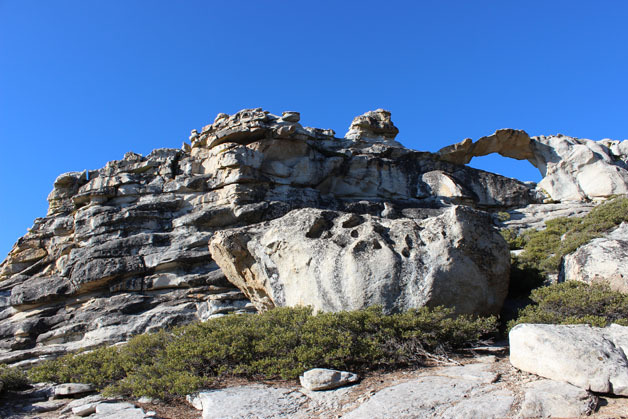 The hike includes several very steep sections that are in no way technically difficult, but are certainly physically strenuous for those unaccustomed to the altitude. Take short breaks to allow yourself to recover and to take in the view. There’s several great spots at Vernal Falls to refuel, but if you plan to head up to Nevada Falls, I suggest saving lunch till then. Even in October, with the lowest water levels of the season, the Merced River is impressive as it pounds down the falls. On our way down we came across a Bobcat near the top of Vernal Falls. It was pretty exciting. I can’t be certain, but I think I prefer less water in the falls instead of 3 or 4 times as many people on the trail. Hiking in the grove is an pleasant, shaded relaxation compared to the stone steps along Mist Trail. The Giant Sequoias in the grove are astounding. No picture I’ve seen (and certainly not ones I’ve taken) can do their enormity justice. It’s truly something that must be seen in person. 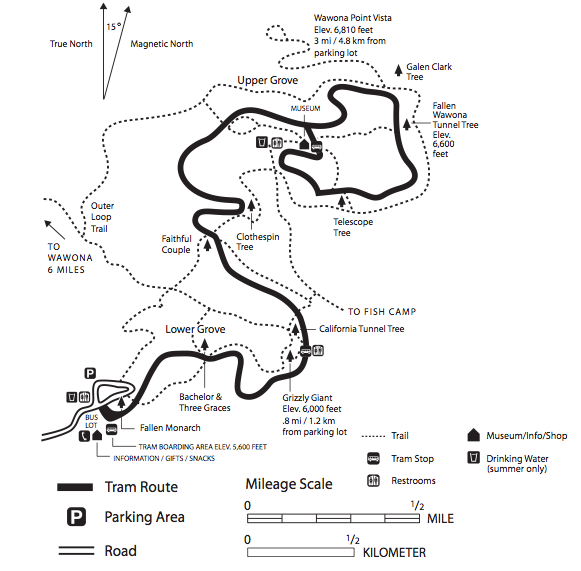 If you have some spring in your step, I suggest taking the Outer Loop Trail as well as the detour out to Wawona Point Vista. The Vista is a perfect spot for lunch. 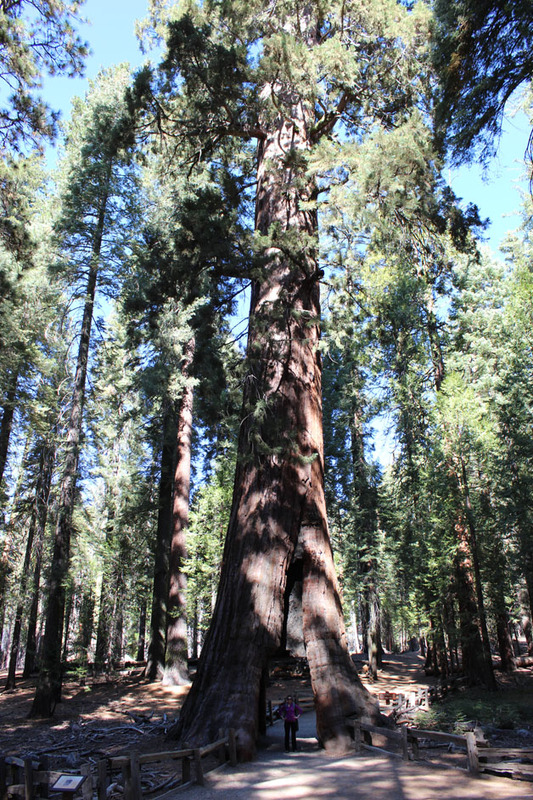 The fallen Wawona Tunnel Tree and Telescope Tree are further into the Grove, and are must-sees. Also, the return trip to the parking lot will be mostly downhill, so there’s no need to save energy. 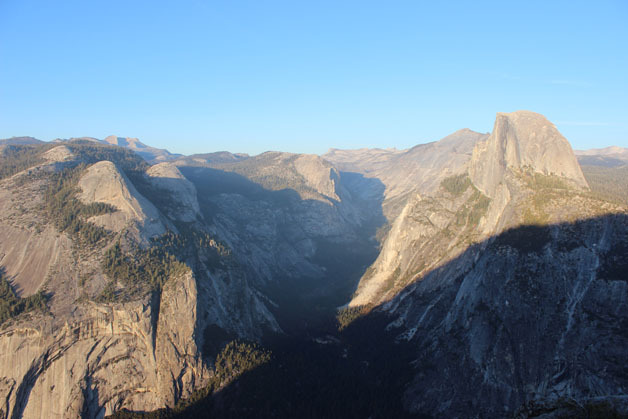 The best way to end a day at Mariposa Grove is to spend an hour at Glacier Point. Be sure to arrive about at least 30 minutes before sunset so you can experience the color change from gold to pink. Glacier Point’s elevation is ~7200 ft, so it was cold as the sun set. Bundle up so you can appreciate the view as long as you like. The hike from Tioga Road to North Dome and Indian Rock was stunning. As you hike toward the valley rim you are exposed to ever expansive vistas of the surrounding domes, caps, and eventually the valley floor. The photo at the top of this post is looking westward from North Dome with just a bit of the road on the valley floor visible (zoom in to see the vehicles parked along the road). 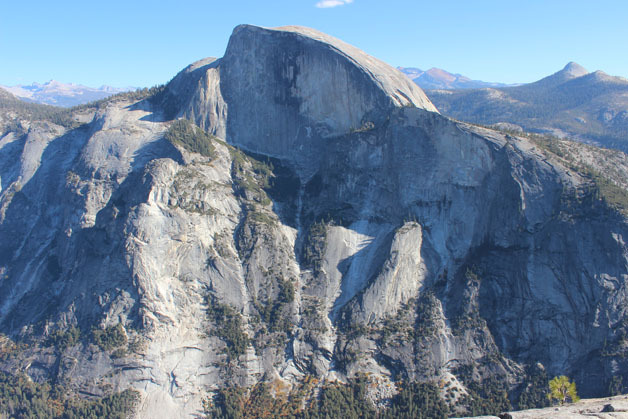 North Dome also provides the best views of Half Dome. 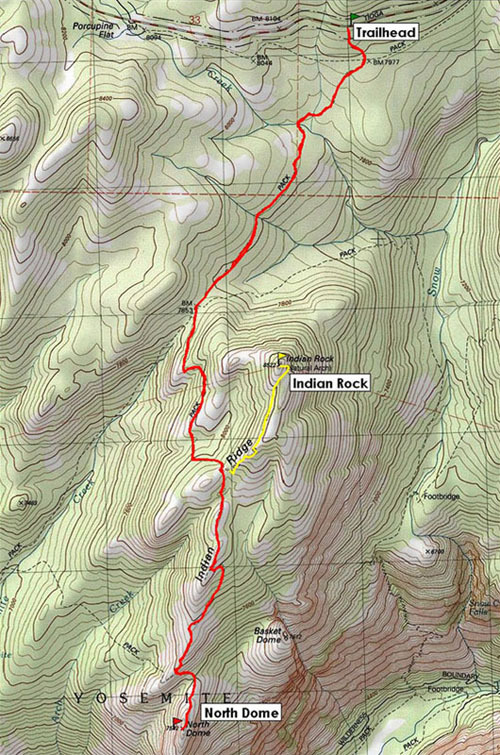 Indian Rock is a short and worthwhile detour from the main trail. The arch is much smaller than what you’d see in Arches National Park, but when you think about how all of Yosemite was formed by Glaciers and that this granite arch is hundreds of feet above its surroundings, it’s pretty amazing. We had an hour or two before we had to head back to San Francisco and we couldn’t have chosen a better place to spend the time. There was stunning beauty every direction. 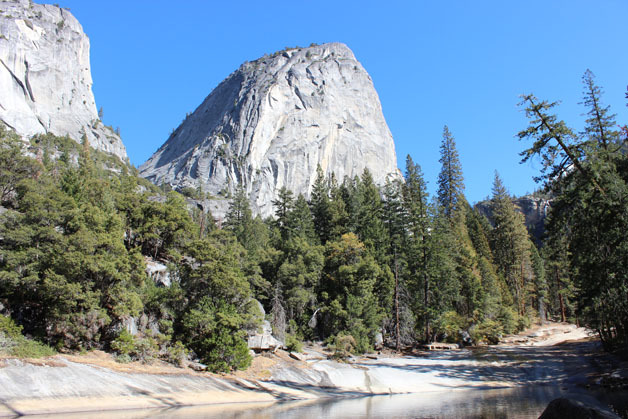 With the advice of an experienced hiker, Yosemite wasn’t nearly as daunting as it would have otherwise been. Erin and I feel that we made the most of our time and couldn’t be happier with the trip. I hope to upload more photos to Flickr in the coming weeks.